Elancourt, 22 November 2017 – Airbus is calling on app developers worldwide to register for its first “Critical App Challenge” which will take place in Munich, Germany, from 2 to 4 February 2018. This competition is a collaborative event with a limited amount of time to invent new smartphone applications for public safety users, such as police and rescue personnel. Hackathons are based on the idea that diverse people, such as software developers, user interface designers, business managers, data analysts and start-ups will work together intensively to create proofs of concept of their ideas. Until the 8th of December, companies and individual developers can enrol on the webpage: https://industryhack.com/challenges/criticalappchallenge/. Afterwards, Airbus experts will evaluate the best proposals in the framework of the SmarTWISP app developer programme and in mid-January will announce the participants for the “Critical App Challenge”. The 3-day event will be organised by Airbus and the company Industryhack. Airbus will announce the results during the Critical Communications World exhibition in Berlin in May 2018. During the “Hybrid App Challenge”, participating teams will work in groups on a platform provided on the web-based SmarTWISP portal. In addition, they will be able to use software tools and the Tactilon Dabat, an Android smartphone and Tetra radio in one device, to elaborate their ideas. Technical and business mentors from Airbus will also be available during the challenge. They will provide onsite support, offering their Application Programming Interfaces (APIs) and Software Development Kits (SDKs) to build location-aware web and mobile apps. Application developers can register for the SmarTWISP programme on the “Secure Land Communications” website free of charge and find a kit which will help them begin making new mission-critical applications. Once approved for free membership, developers can access guidelines, tools and the Application Programming Interface. Furthermore, developers themselves can benefit from special training and tools, as well as reward schemes. The SmarTWISP developer programme will soon open its premium membership levels, “Licensed” and “Certified”. Upon approval, the application developers and solution providers will be equipped with real Tactilon Dabat devices. 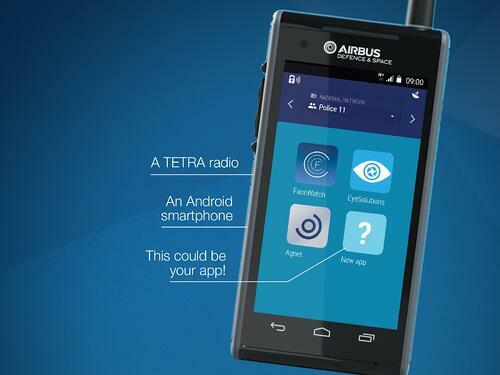 Secure Land Communications (SLC), a business unit of Airbus, develops, installs and maintains professional and land mobile radio (PMR/LMR) networks based on Tetra, Tetrapol, P25 and LTE technologies and offers a wide range of radio solutions and devices for customers worldwide. The portfolio also encompasses mission-critical broadband solutions based on 3GPP standards and emergency response centres (911/112). SLC is a leader in PMR, with more than 280 radio networks in over 74 countries, and the US leader for 911 response centres with the VESTA 911 call handling solution serving more than 60% of the market. SLC employs nearly 1,700 people in 20 countries.